When seeking training, it’s first important to know what you need to learn. The International Dyslexia Association has written standards for both mainstream classroom teachers of reading and intervention experts, which provide an excellent basis for working this out. 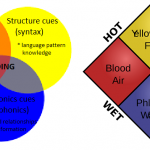 There are free webinars from the US’s 95% Group called Rethinking Phonological Awareness, Orthographic Mapping is a Critical Skill for Learning New Words and Helping Older Learners Master Phoneme Manipulation. 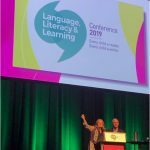 AUSPELD has produced teacher and parent guides called Understanding Learning Difficulties, which is now also freely available on this website. Teachers can use these to identify gaps in their knowledge about learning difficulties, in order to fill them. ACER periodically runs training by one of the authors of these guides. The UK Communication Trust has free online training about children’s speech, language and communication. Cracking the ABC Code runs face-to-face and online training. DSF in Perth has an extensive training calendar including courses on Letters and Sounds, Sounds Write, and Jolly Phonics. EdWeb.net has a free online one-hour webinar with Dr Nickola Wolf Nelson called “Teaching Students with Literacy Problems including dyslexia“. 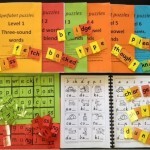 Jolly Phonics: SPELD SA and DSF in Perth have Jolly Phonics presenters, and the SA ones at least can travel. 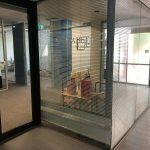 The UK website also lists some Australian training, and in Victoria, Jacqui Tarquinio can also provide training: jacquitarquinio(at)yahoo.com. 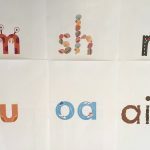 Kristin Anthian is an Educational Consultant in Werribee in Melbourne’s west who runs Synthetic Phonics training for teachers. 0422 979 509. Get Reading Right runs training, both in person and on the internet. Claire Scott is a Melbourne consultant who runs training on Spelling Mastery, Corrective Reading and other Direct Instruction programs. cgscott@netspace.net.au, 0409 893 527. Learnasaurus is a Queensland company run by experienced teacher Leslie Keast-Patch, who runs workshops for parents and teachers. Learning Difficulties Australia runs training sessions for teachers. Learning Made Easier is run by Christine Killey who has a training calendar focussed on spelling and reading. Lindamood-Bell has training available in the program Seeing Stars. Little Learners Love Literacy has a training calendar. There is a Multilit training calendar. Debbie Heppelwhite at Phonics International in the UK has online training in systematic, explicit synthetic phonics. Reading Rockets in the US have a free online teacher training course called Reading 101. There is an international Spalding training calendar, and an Australian one. The Reading in the Rockies 2017 presentations by David Kilpatrick are available online here. Essential viewing for all teachers of reading. Apps company Reading Doctor has a training calendar, with sessions presented by Speech Pathologist and reading expert Bartek Rajkowski. Speech Pathologist Helen Botham runs training for teachers and parents in Cued Articulation, both in person and online. 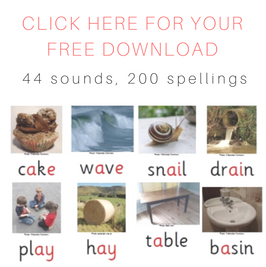 Sounds~Write has linguistic phonics courses in Australia, and a free online Udemy course intended for parents of 4-6 year-olds about how to teach children early phonemic awareness and phonics. Marian Dunn at Write to Read in Melbourne runs training in explicit synthetic phonics. All Reading in Bendigo runs training in the Direct Instruction program Teach Your Child To Read In 100 Easy Lessons. 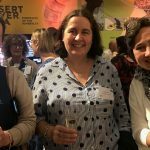 The UK’s Tricia Millar runs online training in her programs for older learners called That Reading Thing and That Spelling Thing. A US company called Learning By Design runs online webinars with a focus on spelling. SPELD-SA runs Jolly Phonics training as well as other training related to learning difficulties. Michelle Hutchison in Victoria runs training on spelling. The University of London, UCL Institute of Education and Dyslexia International run a free, online course called Supporting Children with Difficulties in Reading and Writing. There is a Jolly Phonics YouTube Channel, with a lot of information about how to use this teaching method and its materials. Spalding has teacher’s guides on DVD, also available from the Australian store. The 2015 documentary Outside The Square is about empowering students with dyslexia in Australian schools. I am so grateful that you have made all this information so accessible !